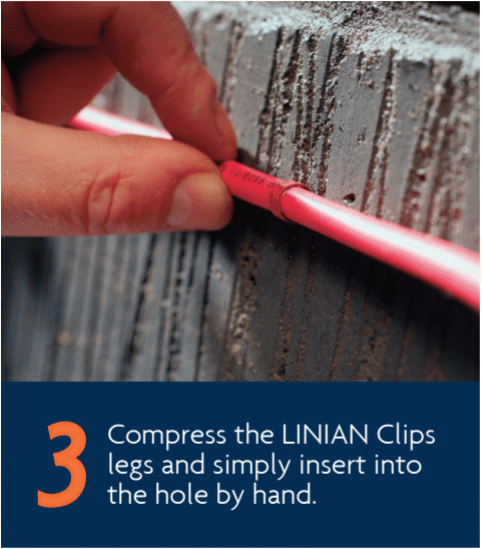 We were advised to use the LINIAN Clip whilst installing 3800mts of fire cable across fire and refuge points. This was carried out at an old whisky bond which required 500mts to be fixed directly to the building fabric. With the LINIAN Clip provided in both single and double clips it was ideal for this application. We were complimented on our installation by both the electrical contractor and our own client. The LINIAN Clip provided its worth 3 fold by saving us time, ease of use and enhancing our status with the client. We would not hesitate to recommend or use them again in the future. We used the LINIAN Clip at HMP Grampian while installing over 2000 fire alarm points for the fire system at the new prison, which over 200 meters was surfaced clipped. We required a clip that met with the Scottish Prison Services high demand on quality and we could use with ease and quickness to meet the tight programme demands for the job – the LINIAN Clip did all of this. We were complimented on the neatness of the install from Skanska the main contractor and also Pointer our client. Our operatives find the clip easy to use and with no other materials required for installation, the product is superior to any other on the market today, and wouldn’t be without them. I saw the LINIAN range of metal fixings when I was in my wholesaler one day. I was going to buy p-clips, screws and rawl plugs before I seen these new fixings. Having bought a couple of bags of the white double FP cable clips my team and I were very happy with how easy they made the job. 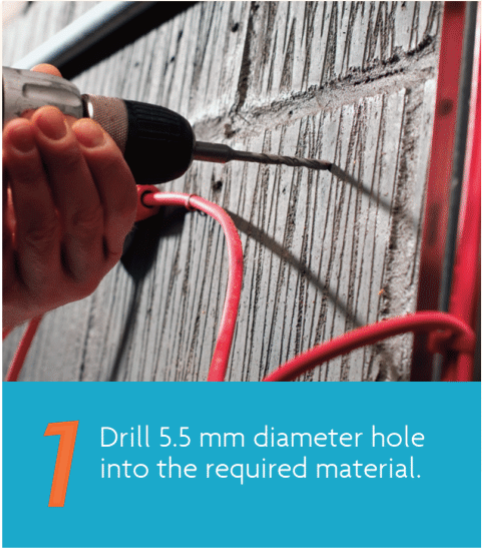 Instead of drilling, plugging and screwing a p-clip we simply drilled a hole, put the clip around the cable and pushed or hammered them into our drilled hole. I would highly recommend these fixings to anyone looking to save time and still keep to current regulations with regard to metal cable support on exit routes. Having worked in the fire alarm industry for the last fifteen years I’m always looking for a faster and easier way to clip the cable without jeopardizing the workmanship and neatness of the installation. Having used the LINIAN Clip in various environments from surface plant room installations, hospitals, prisons and factories I have had great feedback from both the client and main contractor at the standard and speed of the fire alarm installation. 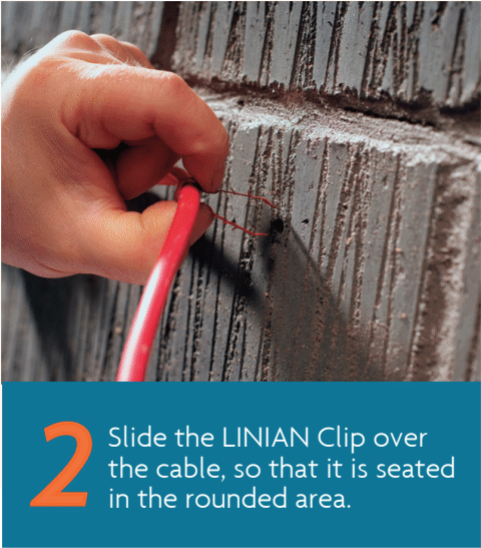 I have used the LINIAN Clip in many different materials from concrete to timber without any problems. We liked the simplicity of LINIAN Fire Clips when sourcing our material for a large contract. A contract we had been working on had more than 150 sites across the UK that required full replacement of their fire alarm systems. The time saved using LINIAN Fire Clips was huge to our overall timescale and due to this, profit. The durability, ease of install and secure fit was all a pleasant surprise, especially with all the compliance boxes ticked. using these products is a no-brainer!